Whether you have done a big remodeling job or a small construction fix, the mess left over after your construction cleanup can be big, bad, and scary. The best way to make sure that your home looks good as new is to leave it to the professionals for all of the cleaning and fixing! The whole point of doing construction on your home is to make it look nice and improve it’s looks and aesthetic, so when your home looks even more worse for the wear after the fact, it is understandable upsetting. Construction cleanups can include things like knocking over a paint can. When you knock over a paint can and it spills all over your carpet, you are going to be left with a sticky, gooey mess. Getting paint out of a carpet without a professional to shampoo it is almost impossible. Because paint is so thick, it will stick to your carpet fibers like glue. 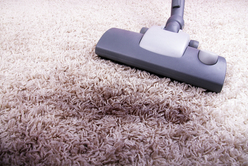 If you try to scrub it out, you will be pushing the paint fibers down even further into the carpet. Once the paint dries and becomes hardened, you will pull up the carpet fibers with the paint if you do not remove it carefully and properly. You can also get sawdust and little wood chippings in the carpet from doing woodworking construction in your home. These small wood shavings can be hazardous to your health if you breathe them in, so getting rid of them is vital. Especially for children and pets that are closer to the ground, breathing in sawdust and wood chippings is a respiratory problem and a choking problem. The best thing to do is have us over at Kingwood use our industrial strength vacuums, as your standard vacuum at home might not be strong enough to get everything out. In these instances, it is better to be safe than sorry. Glue is also a home fixer that can be dastardly to your carpets. Imagine how tough it is to get glue out of the ultra fine carpet fibers in your home. Whether the glue is soft or hard, it will get stuck to your carpet. We have all of the right materials and cleaning tools to soften the glue and have it removed from your carpet without damaging the carpet fibers, the original content of the carpet, or the look and feel of it. Construction is done on your home to improve it, and having your home look worse after you’ve spent lots of time and money on trying to make it look better is unfortunate. Even when you put down tarps and try to protect your carpets, accidents happen and you might not be able to prevent spillage happening on your floors. As most construction jobs involve heavy duty glue, paint, paint thinner, and other chemicals and materials that could be toxic or hazardous, you want to make sure that they not only get in your home for your carpets sake, but for your health as well. Carpets are highly flammable, and having your carpets cleaned after a construction job will help to prevent more accidents and damage down the road. We want your home to be all fixed up and looking great, so give us a call today to help you clean up after the construction jobs done on your home. We want to make your remodel run as smoothly as possible, and our crew is fast, efficient, and friendly. With our help, your construction job will be done faster, and the results will look even better. From Spring, TX you can visit us through a 28 minutes car ride.